Deep Dive will be an ongoing series of blogs in which we will take a ‘deep dive’ into a specific techniques and principles you can use to improve your business. They come from branding, design and business. Our goal is to empower you with everything you need to build better solutions for your consumers and clients. So strap in for some game changing wisdom. Where does your brand or product fit in with your competition? Image courtesy of @patmcmanaman via Unsplash. Some of you may know about perceptual maps and positioning maps. 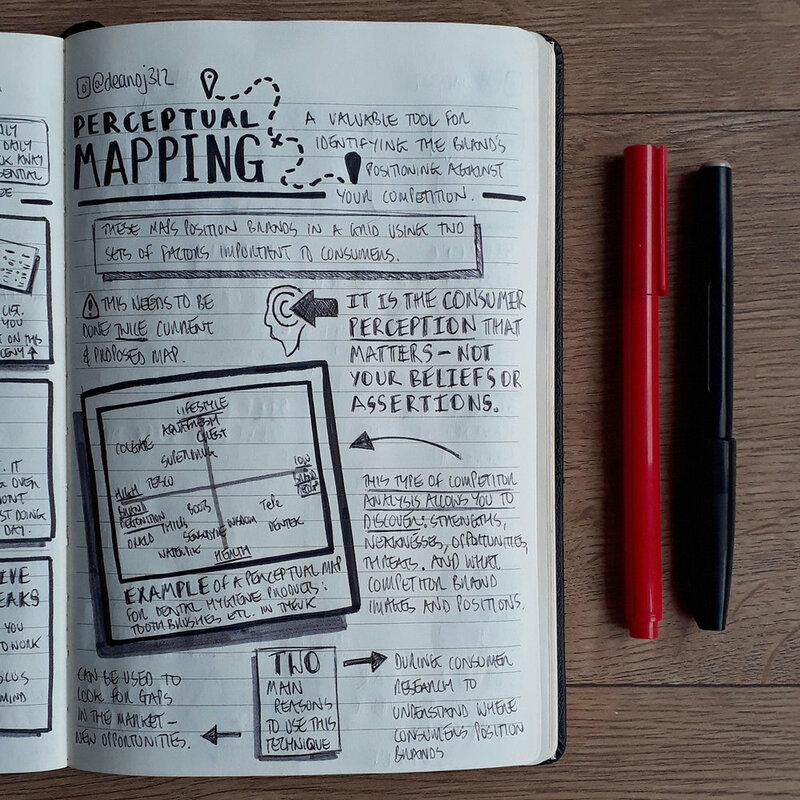 I prefer the term perception maps, as it puts the focus on the consumer’s point of view. In the process of design, I feel it put this before any design work has been created ensure the consumers’ needs and desire are addressed by your product or brand solution. Almost all perception maps are drawn shown as two axes: one vertical and one horizontal. At the end of each axis are two factors - opposite ends of a spectrum - they are the most commonly important areas to your target consumers. This is where the trickiness begins, but more on that later. The first step is the most important one. You need to have a firm understanding of what your end goal is going to be. That is what you are trying to communicate with your perceptual map. Sometimes you will need more than one to do this. Whether that is a ‘before and after’ or variation on a single theme to identify your product/brands unique selling points. 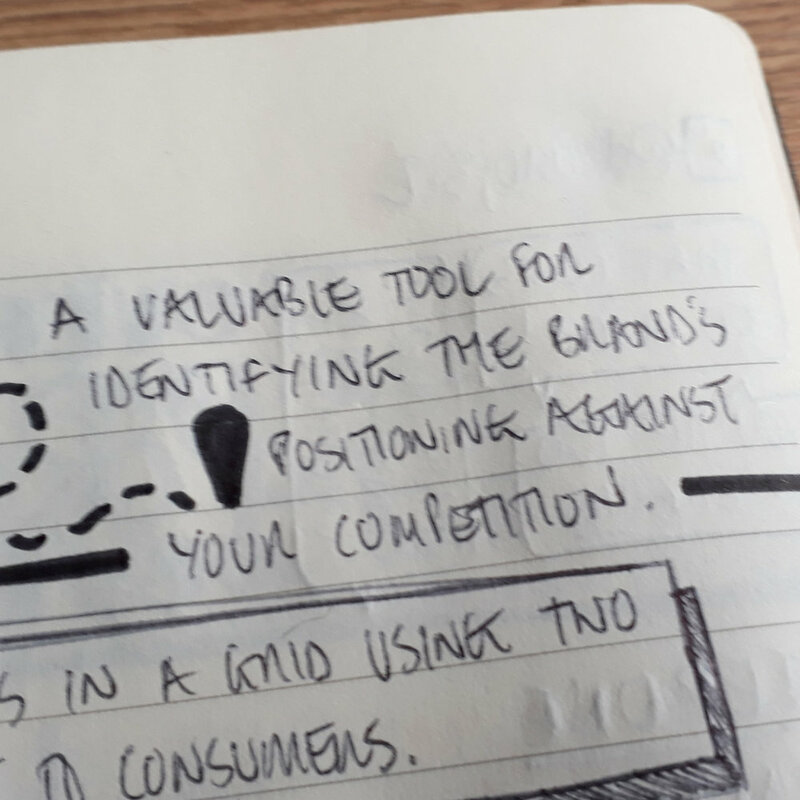 The easiest way to determine these factors is to think as your consumers do, and to think about how they see your market and competitors - how they assess difference. Difference is the path to success of your brand and product. These factors need to be opposites, and I mean opposites! This is easy when you are talking about facts, such as cheap to expensive, or large to small. However, more often, in product or brand, these attributes tend to use more subjective words like fun, modern or fashionable. These more subjective words can be misinterpreted, which during a presentation or workshop can derail the whole thing. To stop this happening, it’s best to define these words with your stakeholders, and to people in the presentations and workshops. Establish a common understanding of these words to avoid this derailing your presentation or workshop. These words often link back in some way to your brand values (which is a topic for another article). One factor you should avoid using if possible is price. While it does affect the consumer perception of a brand or product, it doesn’t really give you a good result. It’s kind of obvious. For a consumer seeking the cheapest option, the value relationship changes between consumer and product/brand. A common alternative is to use quality instead of price - these two have a strong symbiotic relationship. As one increases or decreases, so does the other. The best practice is to make a list of your brand/product values, unique selling points, and their corresponding opposites. Pick out the top two sets based on your research and understanding of your audience. Those that you believe to be the most important differentiators in the market. These two sets will form the axes of your perceptual map. 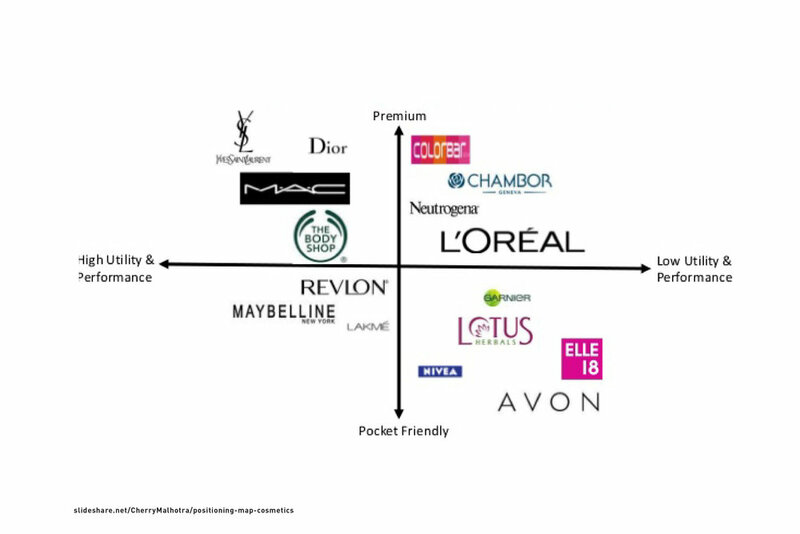 To populate the perceptual map, you will need a list of your competitors brands or products. Sometimes that could be hundreds of brands, so you don’t need to list all of them, just the top 10. This should narrow your thinking to your niche within a larger market. By narrowing down market like this, you focus your analysis, enabling you to deliver specific and different solutions to your competition. If you are working on products and not brands, you may have to focus into a specific range under a brand. 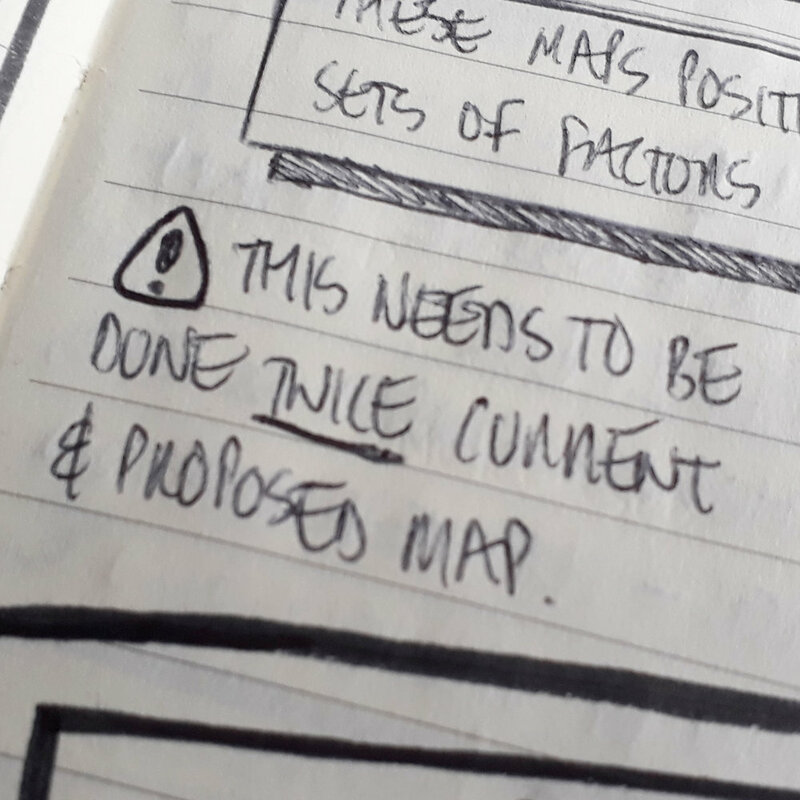 Some brands cover a wide range of product categories, so it’s important to filter your view, so it communicates a clear and concise message when it comes to presenting your perceptual map to the project stakeholders. Now you have all the components ready, two axis grids and a list of the competition, it’s time to build your perceptual map. The easiest and simplest way is to pick a brand and assign its position on each axis in turn. Doing this one axis at a time allows you to focus on getting the position just right. As mentioned earlier in this article, to get the most out of this process, you may have to build a perceptual map for current position and proposed positioning. That’s my deep dive on Perceptual Mapping! I hope this helps you to understand your brand and product positioning both now and in the future. As always with blogs, below is a link to a high-resolution PDF of the nudenotes I made in preparation for writing this blog. There are no catches, it’s a completely free resources for you to use as a reference whenever you need it. Any questions about Perceptual Mapping leave them in the comments below. Stay tuned for more deep dives in the future. I just wanted to say a massive thank you to all my sources of inspiration: Chris Do and the whole team at The Futur, David Brier, Blair Enns, Fabian Geyrhalter and Douglas Davis, just to name a few. Not forgetting every source from my research-trawling of the internet. Not forgetting my old university lectures on design in business.